!! TRY before BUY !!! Try now the new FlyToMap web viewer to see all available maps worldwide !!! Visit viewer.flytomap.com “Download any FlytoMap application for Free! By purchasing FlytoMap All-in-One App.” !! Watch "Flytomap GPS" app video on www.appreview.com and www.youtube.com !! FlytoMap provides complete, quick and easy to use map applications for navigation for iphone. Continues in the tradition of offering depth of information and functionality across expected places all over the world, exploring the map you get maximum details obtaining detailed information of each object on the map. Use to Explore: “Use Latitudes and Longitudes to go to your favorite places” “Insert the target/destination ‘Waypoint’ and see in real time your speed, distance and direction to destination” “Insert Unlimited Markers near favorite places on the map” “Search your Favorite points directly” “Zoom, Rotate and Pan fast just by a finger touch” “Navigate and see your GPS position on the map” “Geo-Tagged photo management” “Set On/Off Elevation Contours if you feel data is cluttering” FlytoMap processes different types of maps for navigation for different categories: PARK MAPS: Park map applications are extremely advanced contains embedded electronic charts with all information collected from the National Park Service and local sources. 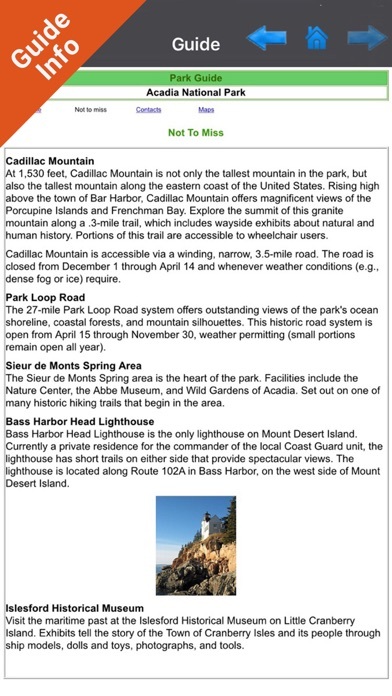 The maps contain all multiple trails (Hiking, biking, Stairway trails, Bicycle trails, Equestrian trails etc.,) and Point of interests (POI) like Campgrounds, Eating places, Ranger Stations, Picnic areas, Boat/Canoe launching, Parking areas etc., which are provided depending on the relevant park areas they exists. “Covers all Trails, Lakes and Rivers within the Parks” “Covers complete park boundary from (NPS)” “Elevation Contours with 10 meters interval” “Mountain Summits” “All Roads and Railways from TIGER” WATER MAPS (Marine): Water map navigator is the new ‘Marine Navigator for iPhone’ contains embedded Electronic Nautical Charts (ENC) from NOAA compressed to a large coverage. 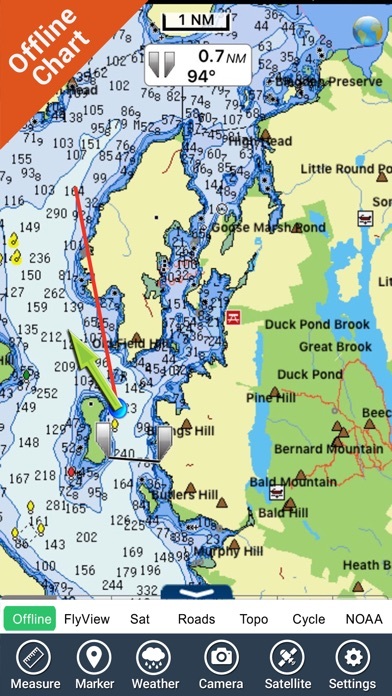 You can now download the application and transform your iPhone in a chart plotter with best NOAA, ENC S57 cartography; which includes Anchoring areas, Fishing areas, restriction areas, obstructions, rocks, Buoys, Beacons, Lights, Depth contours with Values display on map, Spot Soundings and more. The only marine app’s available in the market with such huge information. Every effort is made to be as accurate as possible when presenting information for every destination. LAKE MAPS: We offer high quality lake maps with detailed information and important features compressed to assure the larger coverage in USA region. Lake maps contain most important DNR lakes with detailed ‘Depth Contours, Boat Ramps, Fishing spots etc. Also includes Trails, Roads and Railways information. TRAVEL MAPS: These Maps treat you mostly with information of both Marine and terrain correspondingly. These are the most preferable Maps to travel especially for fascinating recreational voyages, map focus the best Beach spots along the Coast line, Major ports, Sailing, Fishing, Picnic areas, Parks, Hiking, Biking, Clubs, restaurants, Famous Hotels, Museums, Shopping areas, and much more. “We work to delight your moments” ! Enjoy great Journeys! Note: "Continued use of GPS running in the background can dramatically decrease battery life." "Turn off GPS when not in use"
I’ve been to Park and have used this map to get around for walking and hiking trips. Gps and Compass features have worked flawlessly. All Point of Interests were listed without any missing. Now I think I download a better map. I haven't tried all the features yet, so I'm thinking that it will be even more useful as I use more. This app is pretty much useless now, crashes constantly when I try to open it. This app is amazing with the new up date the look of it is a lot more simpler and cleaner, mean it is a lot more easier to use. Lastly, this app gets a lot of up dates so it should be getting better and better. This app gets better all the time. I sent in a few suggestions and they got added in. This is for sure my favorite app of them all. Since the update the app has been essentially unusable due to its very frequent crashing, despite reseting my iPhone and reinstalling the app. I will return my 5 star rating when the crashes are resolved. Begin old review: I live within 40 minutes of Acadia and visit the park probably 100 times each year all seasons. I do not need a map to get around in Acadia, however I am an avid amateur photographer who often finds himself in the park without my camera. 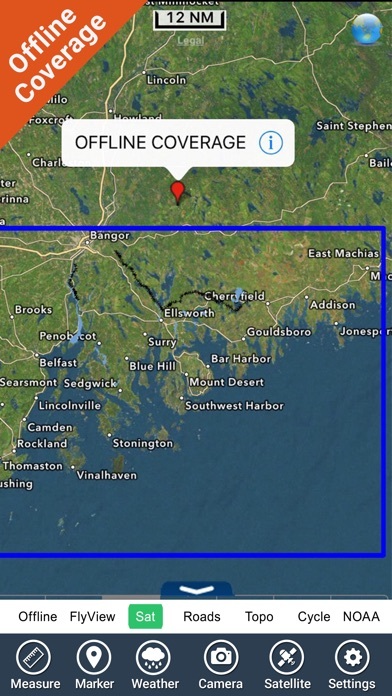 I have found the Acadia NP - Park Map Navigator fantastic for placing a "Favorites" marker on the map to tell me exactly where something is that I want to return to with my camera. 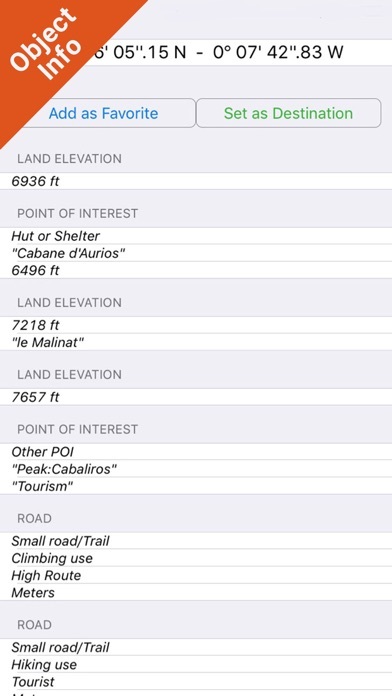 For years I've used various PDA databases to compile lists of photo locations - this app beats the database method handsdown. Now if only I could import Garmin GPS CDROM data! 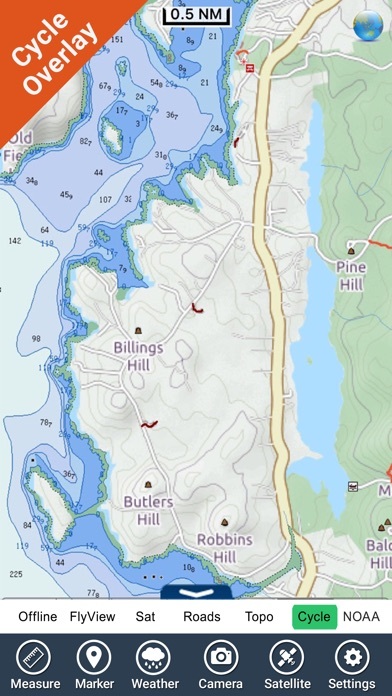 For someone who does not know Acadia as well as I do this app provides an excellent topographic map of the park with easy pan and zoom features. I definitely recommend it to anyone hiking in the park. Loads quickly, Saves my time! The most innovative, intuitive, useful, and fun app yet. Just incredible, download it now! Thanks for the application. Truly: Thanks! It wasn't perfect as advertised, but it is very nearest! still it works. Need to update more point of interests to bring up the app environment get faster.